Global fast food giant Burger King is to pay for the wedding of a couple whose surnames are Burger and King. 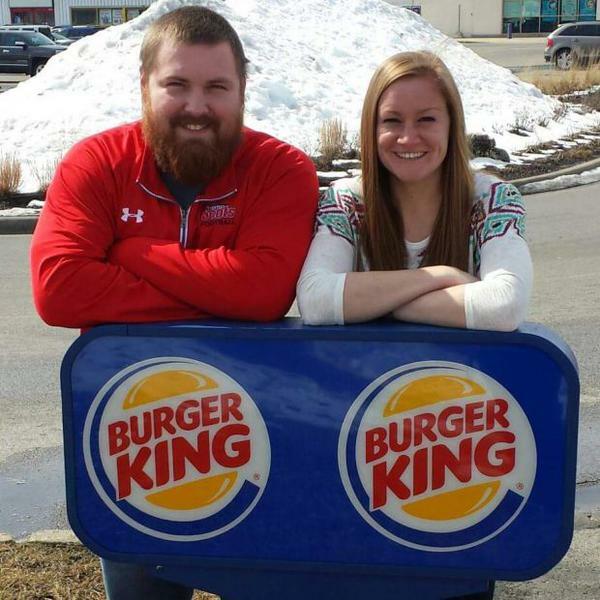 Joel Burger and Ashley King, from the American state of Illinois say they have been known as Burger-King since their childhood friendship. They announced their engagement outside a Burger King restaurant in Spring (it is not known if the ring was a whopper) and now the famous burger joint has offered to help the happy couple celebrate their big day. The woman’s name usually comes first in an engagement announcement, but the couple flipped the names around to celebrate the unusual combination. The Burger-King wedding ceremony, fully funded by Burger King, has now been pencilled in for 17 July. The wedding will be held at Ashley’s parent’s house but catering company has not been named!